On September 10, 1984, Anatoly Karpov and Garry Kasparov appeared on the stage of the Hall of Columns in Moscow for the first game of their match for the World Chess Championship. The clash between the reigning champion and his brazen young challenger was highly anticipated, but no one could have foreseen what was in store. In the next six years they would play five matches for the highest title and create one of the fiercest rivalries in sports history. The matches lasted a staggering total of 14 months, and the ‘two K’s’ played 5540 moves in 144 games. The first match became front page news worldwide when after five months FIDE President Florencio Campomanes stepped in to stop the match citing exhaustion of both participants. A new match was staged and having learned valuable lessons, 22-year-old Garry Kasparov became the youngest World Chess Champion in history. His win was not only hailed as a triumph of imaginative attacking chess, but also as a political victory. The representative of ‘perestroika’ had beaten the old champion, a symbol of Soviet stagnation. Kasparov defended his title in three more matches, all of them full of drama. 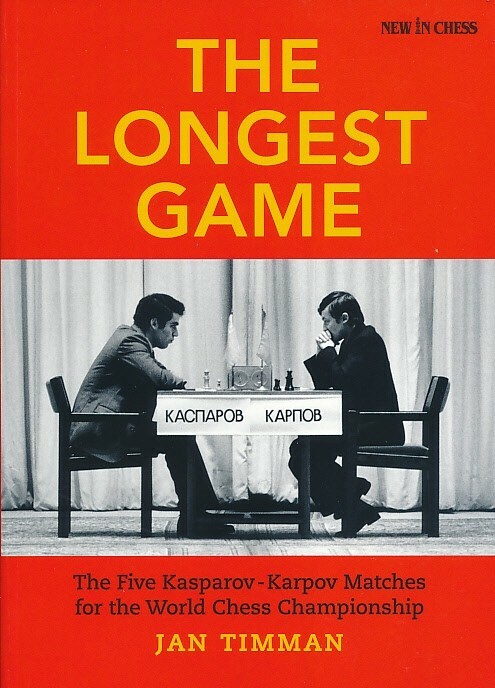 Karpov remained a formidable opponent and the overall score was only 73-71 in Kasparov’s favour. 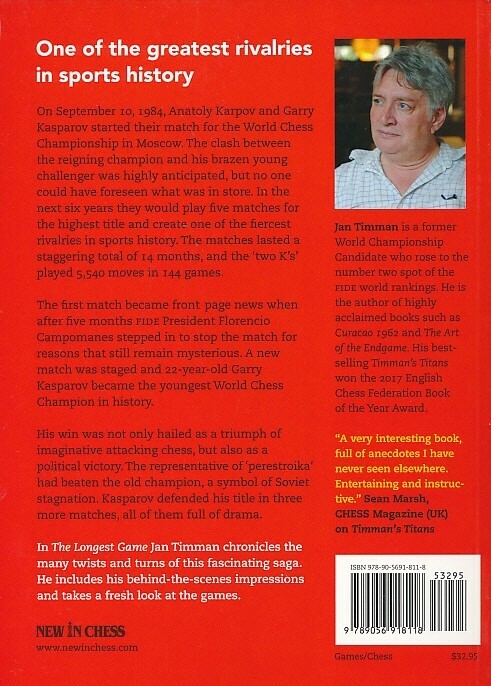 In The Longest Game Jan Timman returns to the Kasparov-Karpov matches. He chronicles the many twists and turns of this fascinating saga, including his behind-the scenes impressions, and takes a fresh look at the games.